Dental crowns are a custom-made restoration which fits over the prepared existing natural tooth and replaces the natural crown, which is the part of the tooth that is visible above the gums. Dental crowns can be used for strength, durability and tooth stability, or for cosmetic reasons to enhance the appearance of a tooth. Crowns are often required when a tooth has been severely weakened and is no longer structurally sound. This can be as a result of trauma, tooth decay, previous root canal therapy or even general wear over time. This cosmetic dental treatment can also be used to brighten and improve the appearance of your smile. Crowns can cover broken, chipped, stained or discoloured teeth by modifying the shape of a tooth. What’s involved in creating Dental Crowns? Constructing a dental crown generally requires one appointment with your dentist. CEREC CADCAM – One Visit Dentistry! Esthetic ceramic crowns or partial crowns in a single session. CEREC is our latest in dental technology. This computer based technology combines 3D Imaging, CADCAM softwares programmes and a milling grinding machine to create toothlike restorations with incredible efficiency, precision and speed. At Heritage Dental Group, with this advanced state of the art technology, we are able to construct restorations like crowns within our own premises while you are still in the dental chair. Contact us to discuss same day crown and veneer on 38783384. Once your tooth is prepared for crown, the dentist will take digital impression with 3D Omnicam. The dentist will then design and finalise the restoration, which will be transmitted wirelessley to the CADCAM milling machine that will precisely make the restoration from porcelain or ceramic blocks. The whole process is monitored by the dentist to ensure quality and efficiency at all times. 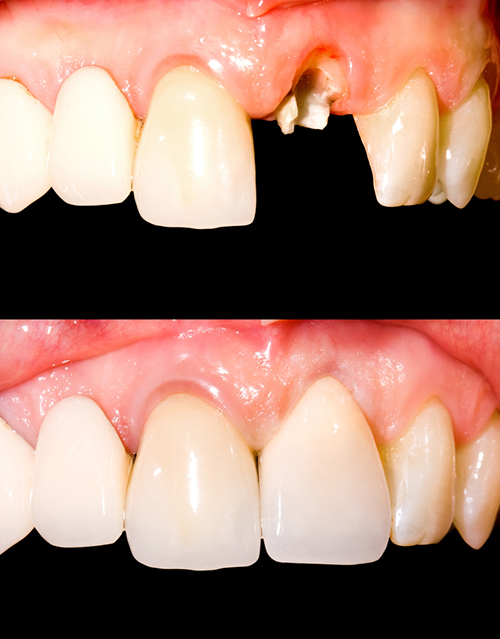 The new crown is adjusted and cemented into place, providing a more long-term natural looking aesthetic solution. Dental crowns can be constructed from a range of materials. Your dentist will discuss which material will be most appropriate for your individual situation. The cost of dental crowns does vary depending on the type of crown required. Your Dentist will be able to provide you with a fee estimate prior to completing any treatment.